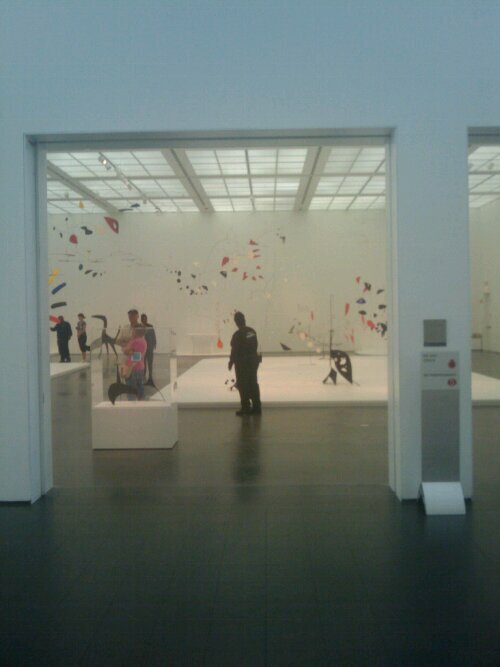 Some months ago, I went with my family to the Alexander Calder exhibit at MOCA Chicago. The collection was impressive, dozens of his collages and a few sculptures for good measure. Afterwords, as we were eating our ice cream, my father wondered aloud whether how much calculation or adjustment Calder would have had to do, to get things to balance out. My off-the-cuff answer at the time was that only the last, smallest leaf would have to be correct, but I’ve since started to doubt whether that was correct. 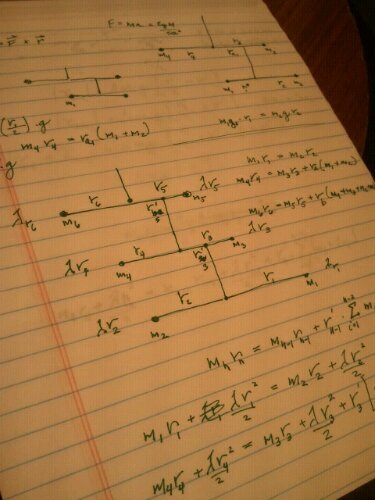 Here is some cryptic math business for you to look at, so you can see how very, very serious this is. < a> I think that a lot of what makes Calder’s mobiles so immediately appealing is in the orderly way that the proportions step down from one branch to the next. 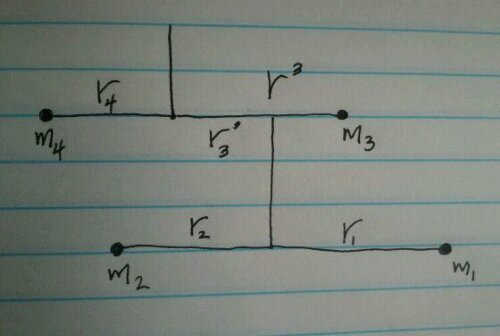 m1 can be chosen so as to balance the equation, as can any other term for that matter. 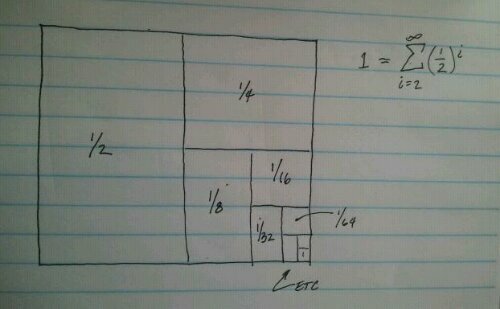 r1 can then be chosen so as to balance out m2·r2, but that’s as far as it goes– the second level consisting of m3·r3 and m4·r4 will need some entirely different mass to level out. It would be very difficult to build from the top and leave the final balancing until the end– every mass added would throw the balance off for the system above it. In fact, I think we can say with some confidence that Calder would have had to build his mobiles from the bottom up rather than the top down. So that’s kind of an interesting result. Nice post! I am doing a degree in secondary teaching, and I was thinking to develop an activity for mathematics with this kind of materials, after having seen a Calder sculpture in the Mudeum of Bilbao. Your post will be helpfull. Yes, thanks! Great essay! 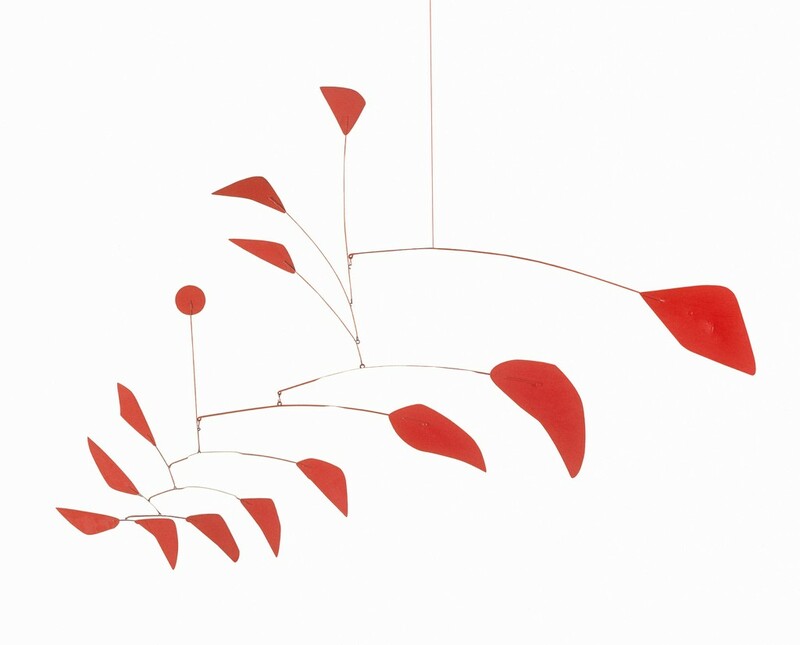 Calder did this intuitively though, didn’t he? Re: Since it’s not physics 101 and you did mention lambda, the linear density of the arm, wouldn’t you (theoretically) have to also consider changes in the length of the arm (r) due to thermal expansion and contraction of the arm too? 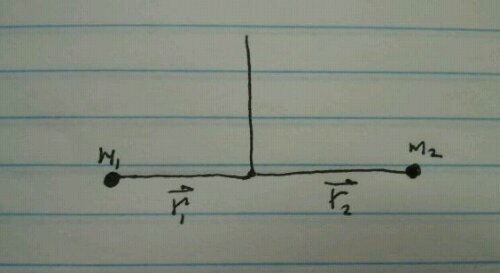 Thus each mass’s torque varies with temperature. A chilly Calder behaves subtly different than a cozy one.